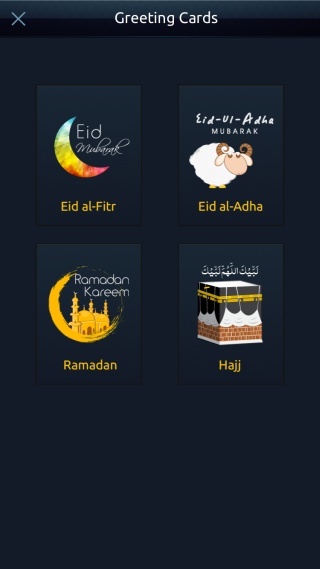 Muslim Mate lets you send greeting cards to your dear ones on four different occasions of eminence in Islam: Eid al­Fitr, Eid al­Adha, Ramadan and Hajj. The greeting cards feature in Muslim Mate comes with a number of simple yet beautifully decorated and exquisitely embellished cards that are adorned with attractive and colorful images, textures and calligraphy. This option enables the users to infuse their own creativity and innovation in the cards and tailor them according to their own preference. 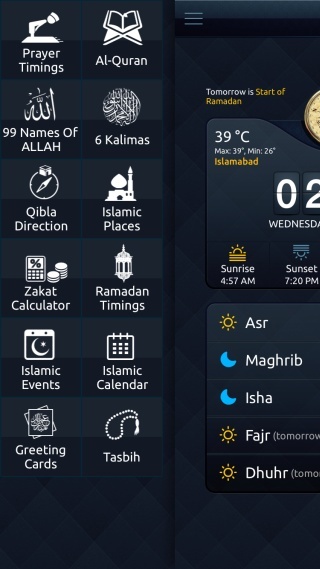 The users can place text anywhere on the card using a number of inbuilt formatting options available in the app. To share your greeting cards, you can choose any social media you want. Be it Facebook, Twitter or even electronic mail. You can even save the card as an image file for future reference or use in some other image editing software, assign it to someone in your contact list, copy it or even get it printed!